I THINK I can only recall us getting a real Christmas tree once when we were growing up. My abiding memory of this departure from the regular practice of shaking the dust of the artificial one was the pine needles. They were everywhere, every day, and the job of cleaning them up was a Christmas chore we could have done without. I couldn't envisage another use for pine needles other than to sweep them up and chuck them in the bin but then a bottle of Mikkeller's Hoppy Lovin' Christmas IPA made its way to me thanks to the good and jolly people at Prohibition. Hoppy Lovin' Christmas is a seasonal offering from the Danish brewery and boasts on the labels that it is brewed with ginger and pine needles. 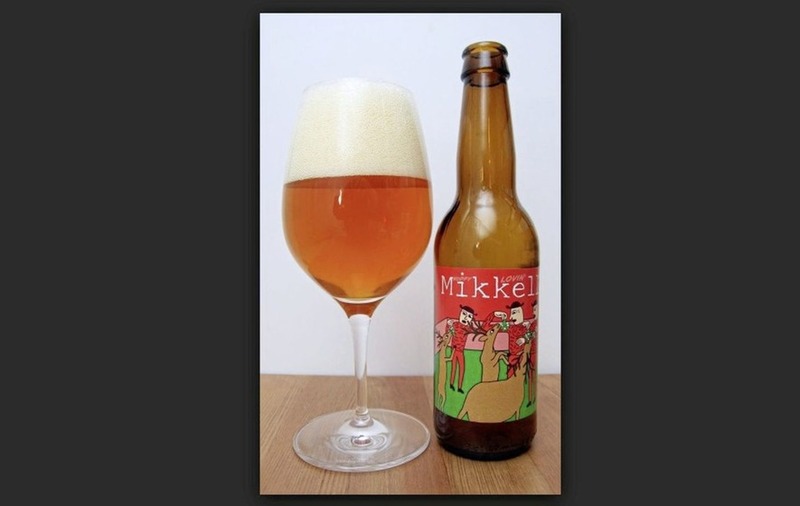 If you're familiar with Mikkeller, that shouldn't really be a surprise as they enjoy experimenting with all manner of ingredients in their brewing, prizing creativity and quality above all the else. This IPA is another example of their unapologetically innovative approach. It pours a light copper colour with a fluffy, meringue-like white head. There are strong pineapple aromas, and that tropical nose guides you into the juicy flavours that await. You get the pineapple on the palate again but it is only one of a selection box of flavours. 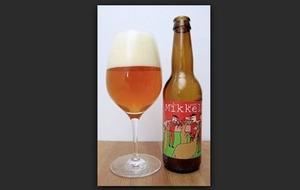 This is a beautifully complex beer and the flavours don’t seem cluttered – each has its place. There are the juicy, tropical notes you’d expect from an IPA with a kind of black, over-ripe banana flavour lying over it all. They’ve obviously crammed in the malt to get it up to a fairly strong 7.8 per cent. That translates into sweet biscuity flavours which, with the ever so slight hint of ginger, evokes tastes of Christmas baking such as gingerbread men or festive cookies. I must admit that I struggled to pull out the ginger, but the pine needles, which did send a bit if shudder down my spine when I read it on the bottle, lend an earthy, grassy and, of course, piney flavour which leads onto the inevitable bitter finish. It is, though, above all quite a sweet beer and in terms of food pairings, would go nicely with a hearty winter fruit crumble.